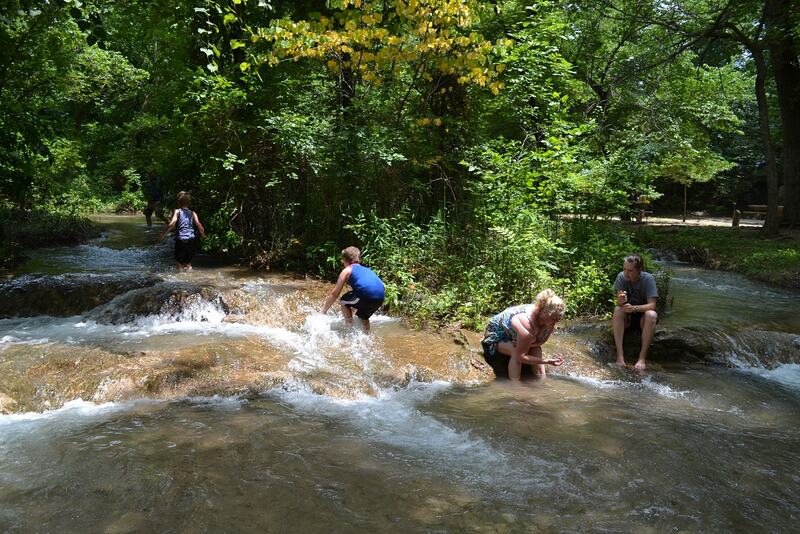 When my little family visited the creek in Sulphur Springs I sat and chatted with my sister while my nephews played in the cold water and Rob took lots and lots of photographs. As it turns out, this is one of my favorite days of all time and I'm so grateful to have a photograph to remember it by. Today I'm turning that image into something I will see every single day, making sure I never forget one detail. 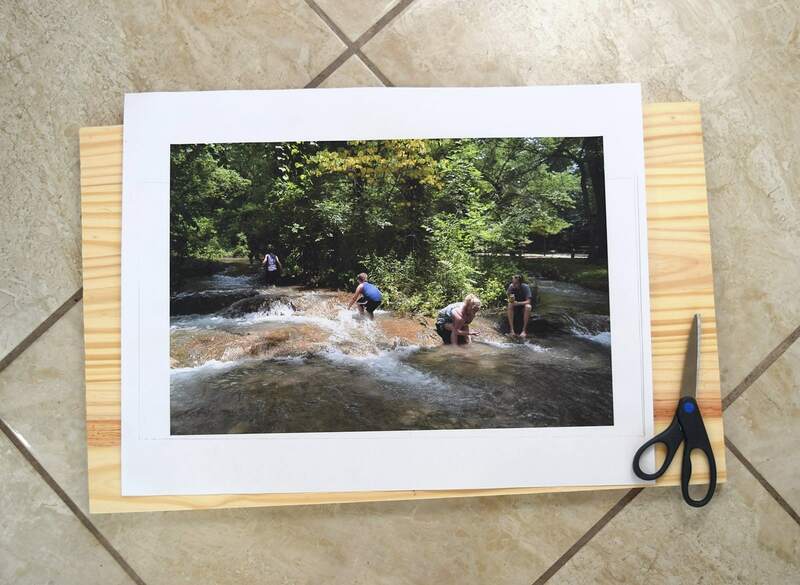 If you're using a large photo, as I did, I highly recommend getting a color architect's print from Staples. My photo printed was about $3, far less than an actual photograph would cost. The quality isn't as good, but I feel still totally acceptable, so use your own judgement. If needed cut a piece of plywood (or wood shelving in my case) or have someone at a hardware store cut it for you for a nominal fee. 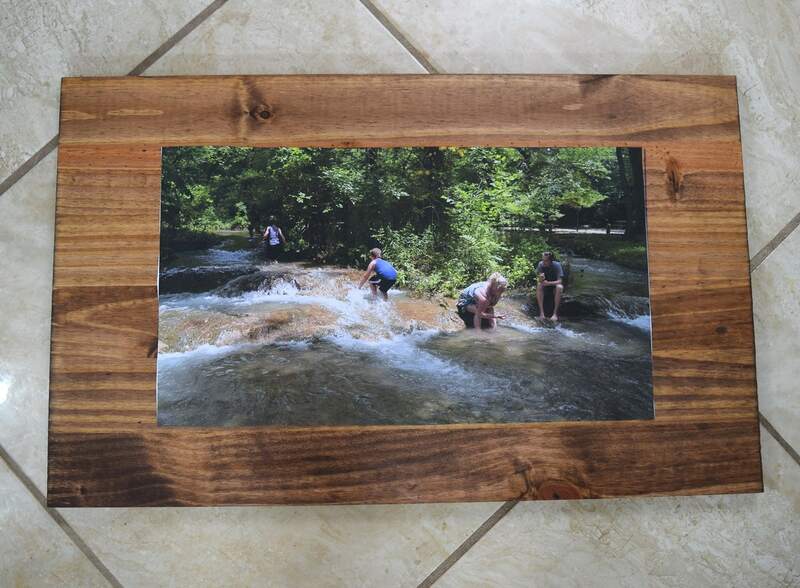 Trim the photo to fit within your plywood piece in an attractive way. 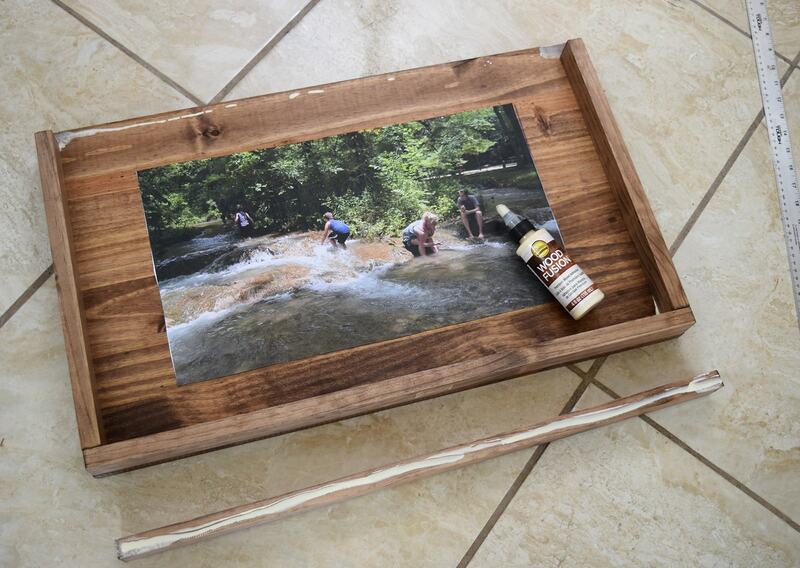 You need an equal amount of wood showing all around the photograph for nice looking proportions. My edges are all about 3". 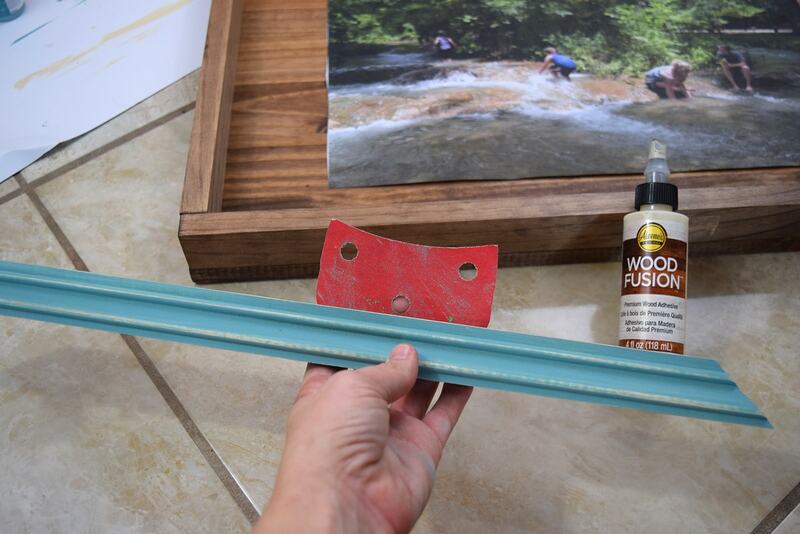 Measure the outer edges of your photograph and cut your decorative molding to create a frame for it. Cutting the wood at a 45° angle will give the piece a finished and more professional look than square cuts. 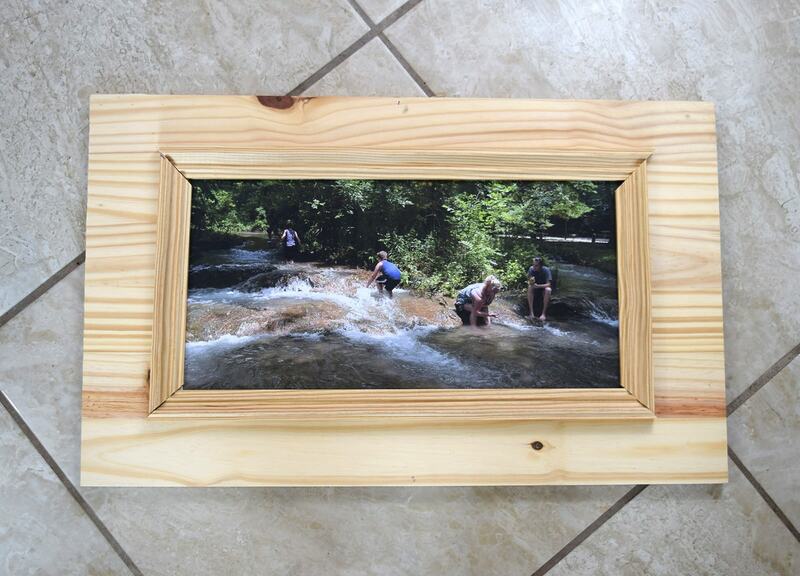 You'll want your frame to overlap the photograph to prevent any wood from peeking through once done. 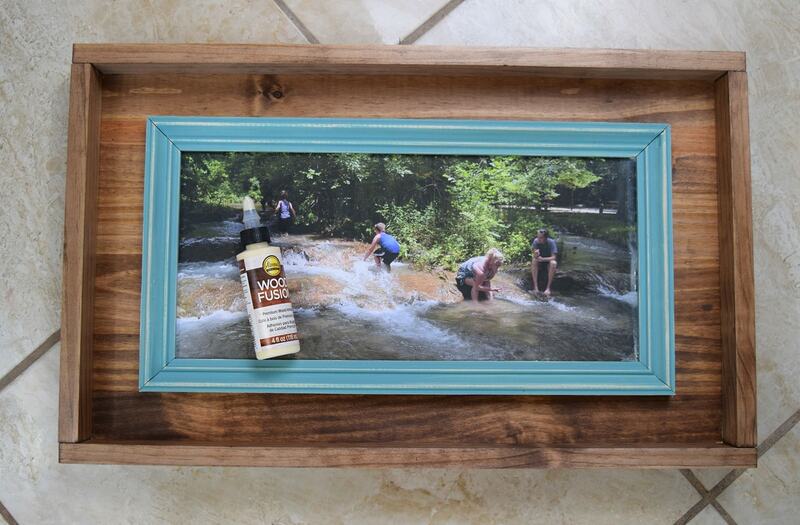 Piece the frame on top of your photo to ensure it fits well together. *quick tip: Because cut wood sometimes turns into a frustrating puzzle, you can always mark the back of each piece with how it should go later on down the line. 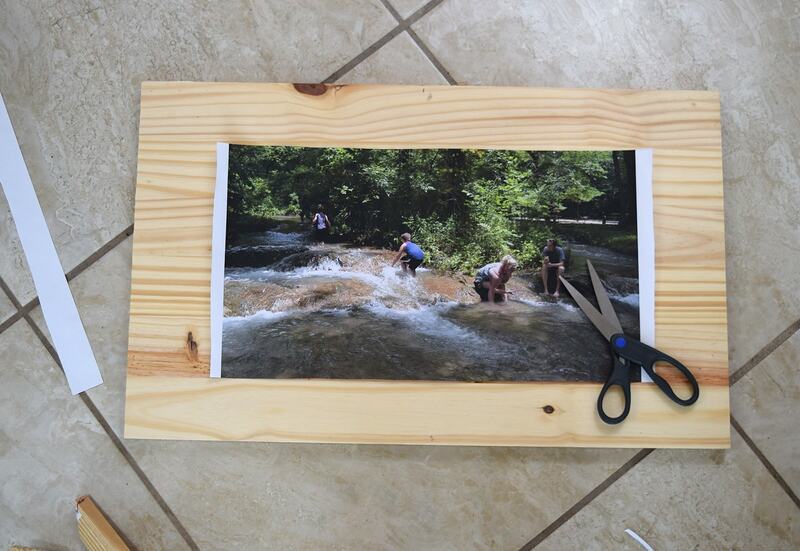 To make your final frame cut your 1x2" boards to fit around the outer edge. 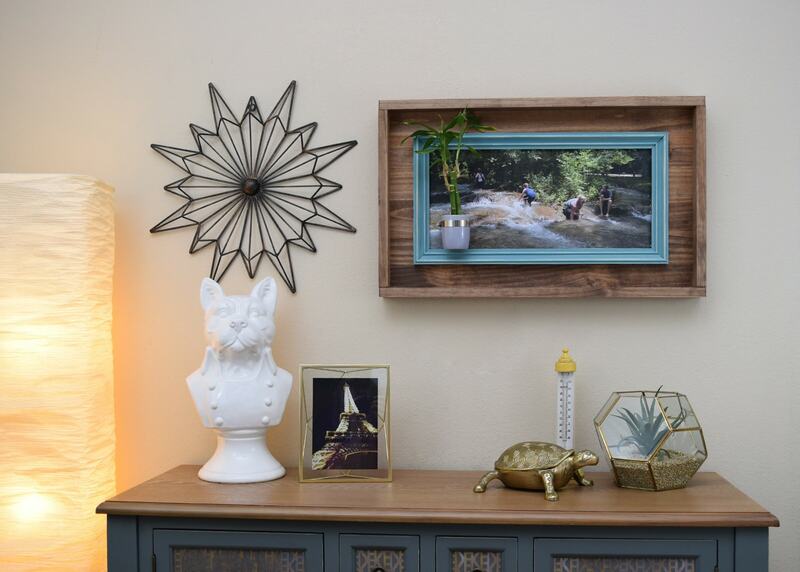 Take care that the edge of the frame meets well with the edges of the plywood below for a nice, seamless look. 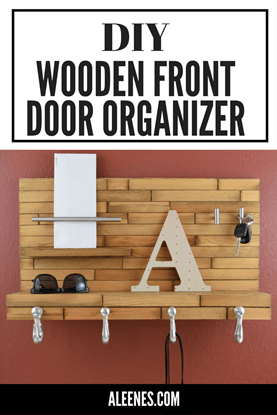 In this instance I used square cuts rather than angled ones because they tend to be easier and I had less wood making a mistake mean another trip to the lumber yard! 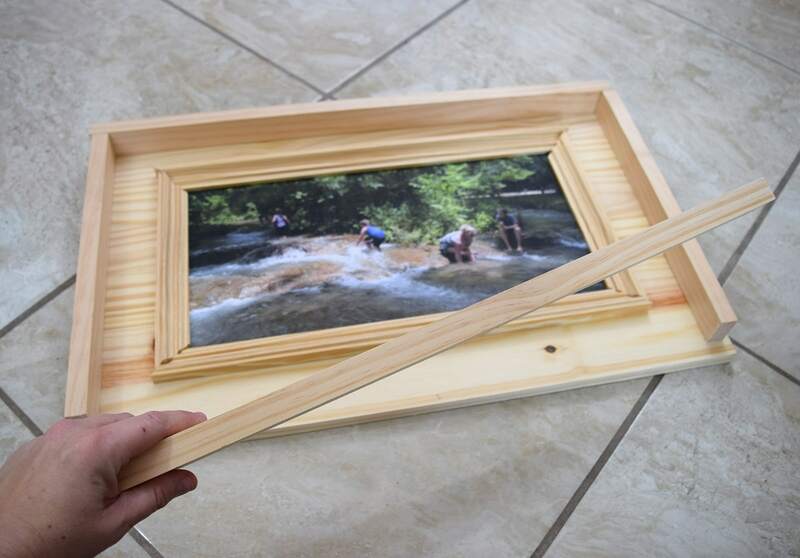 ApplyAleene's Wood Fusion to the back of your paper and press your photo down. Take care to properly center your photograph. Any excess glue can make the photograph bubble and warp if on thin paper, so take care to very, very thinly spread the glue to the back. On photograph paper you'll not have to worry quite so much about warping the image but a thin coat is still advisable. 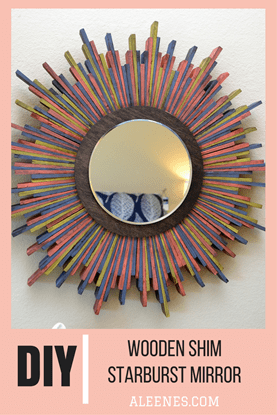 *quick tip: Using Tacky Spray adhesive will be less likely to cause the paper to bubble but you'll have less wiggle room in case of a mistake when placing the photograph to the wood. Use whichever you prefer. 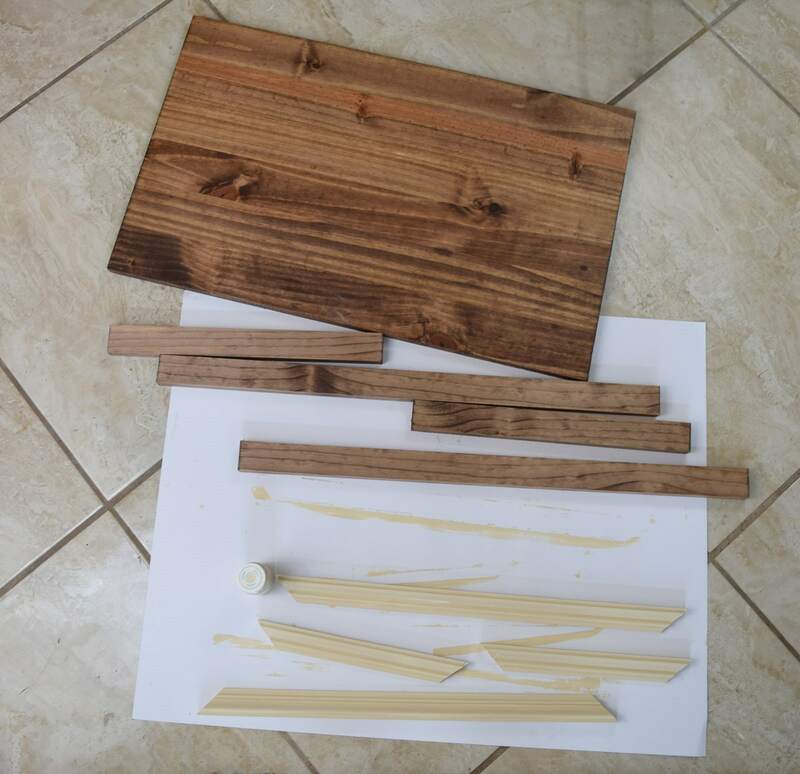 Apply wood glue to the pieces of your outer frame pieces. Lay the pieces in place and allow to fully dry, a few hours is best. Clamping the wood down might be necessary. 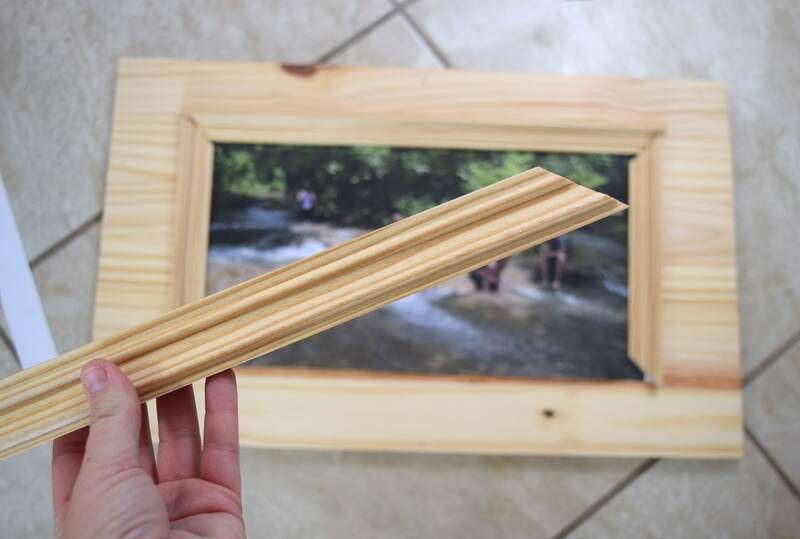 Once dry turn the frame over and add support to the frame by attaching the frame and back together with a 1" wood screw placed near the end of each individual frame piece. 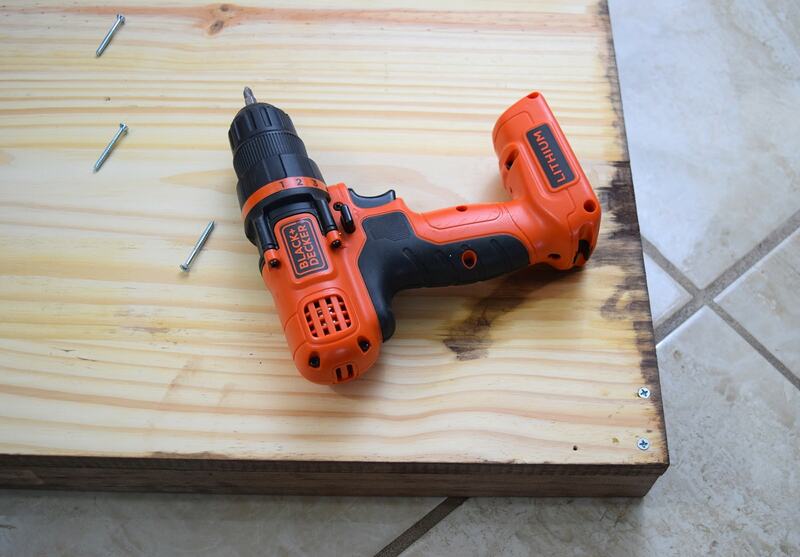 *quick tip: Pre-drill holes with a bit slightly smaller than your screw to lessen the chance of your wood splitting when screwed together. 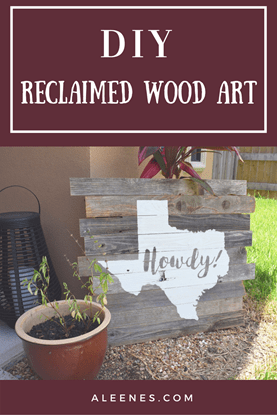 To age your painted pieces first paint the wood with your under coat. This is the color that will peek through the top coat. I went with beige beneath and an aqua blue on top. Be sure to allow the under coat to fully dry before applying the top. Once the top is also fully dry use sandpaper to reveal the paint beneath for an aged look. *quick tip: I have begun using sand paper pads meant for handheld sanders that attach with a Velcro system for work like this. The backside features a soft, fuzzy fabric (for the Velcro to stick to) that helps to buffer the heat that occurs when hand sanding. 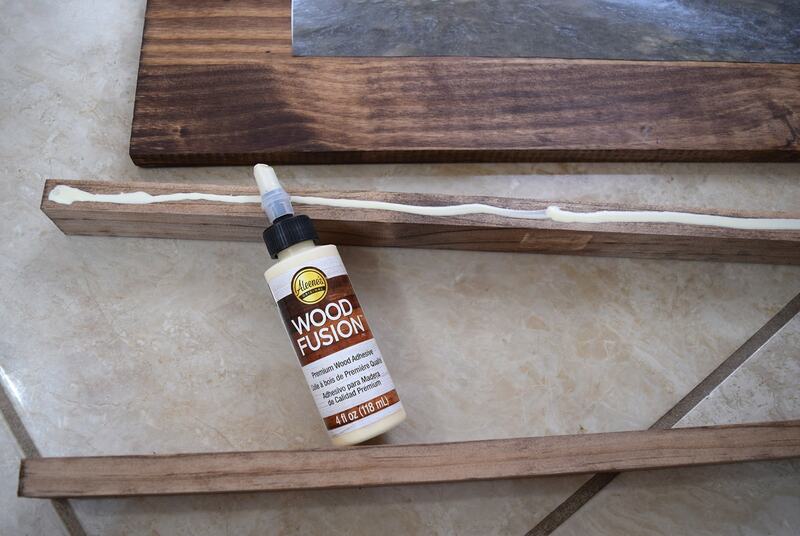 Apply Wood Fusion to the back of your frame pieces and build the frame on top of your photograph. 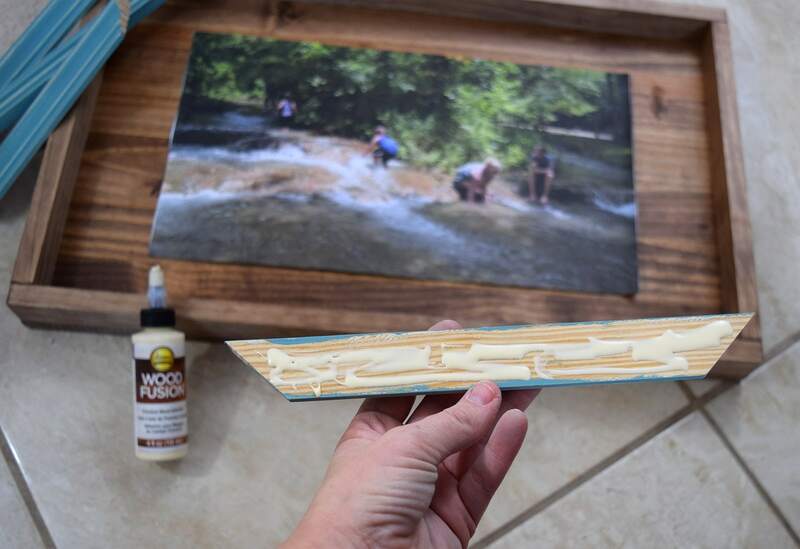 Allow a few hours for the glue to dry. 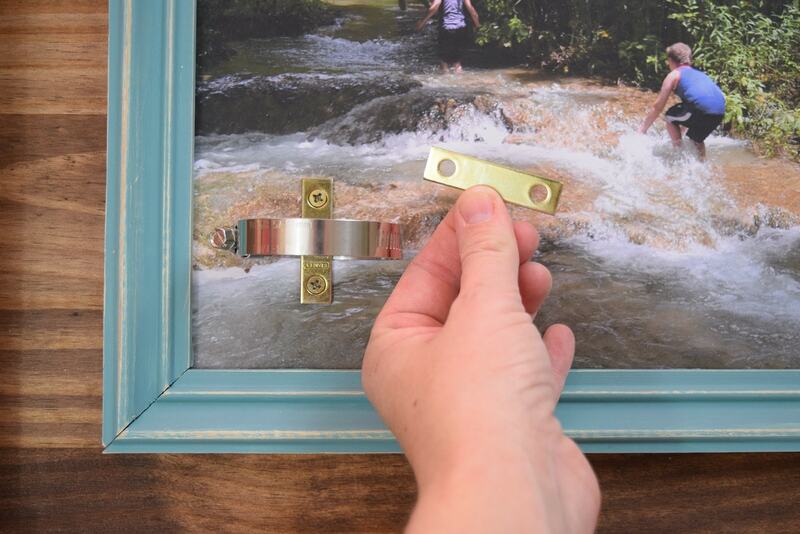 Add sawtooth hangers at the top on the backside of your shadowbox. Larger pieces would do well to have two placed on either side to help distribute the weight of the piece. Next we're going to work with a hose clamp, but what is it? It's a device that is intended to hold a hose onto something else. A good example is the device that is used to attach that silver dryer duct (often used to make robot costumes :) to the vent in the wall behind your dryer. 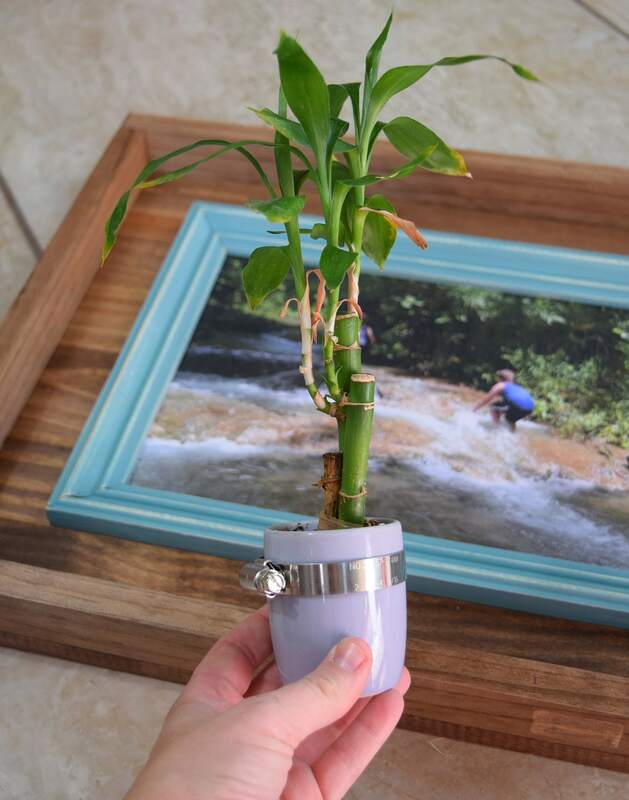 These can be found in the plumbing section of hardware stores and I highly suggest you bring your plant's pot or vase in to get the proper size. Using these guys totally perplexed me for ever and ever and I could find no information on how to properly use them online. Luckily I was able to hash it out after much frustration. See that bit that looks like a screw? Using a flat blade screwdriver turning it will make that entire piece chunky piece it is attached run along the silver band. See those slashes? They're like the railroad tracks this little guy follows. You can tighten this as far as these cuts go, but not over the smooth, solid metal after it. Test to make sure your hose clamp properly fits on your vase or pot. Now these hose clamps are made out of crazy metal. I, unfortnately, broke 3 bits and had 2 trips to the hardware store to get advice for what kind of bit that would work. In the end, none of them did. According to my dad when using a carbide bit, which would totally work, you cannot allow the bit to flex in the least. Once it does it breaks and I'm not steady enough to not snap 4 bits, apparently. 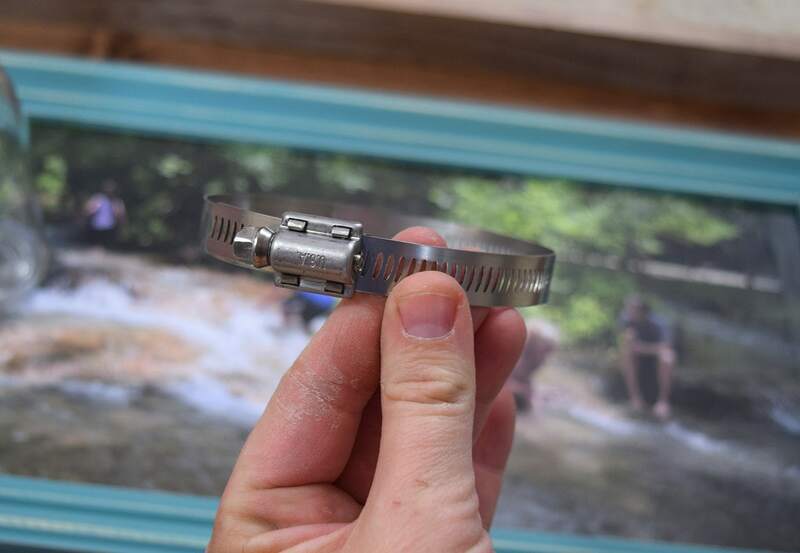 Instead I used a mending plate to attach my hose clamp to the photograph. 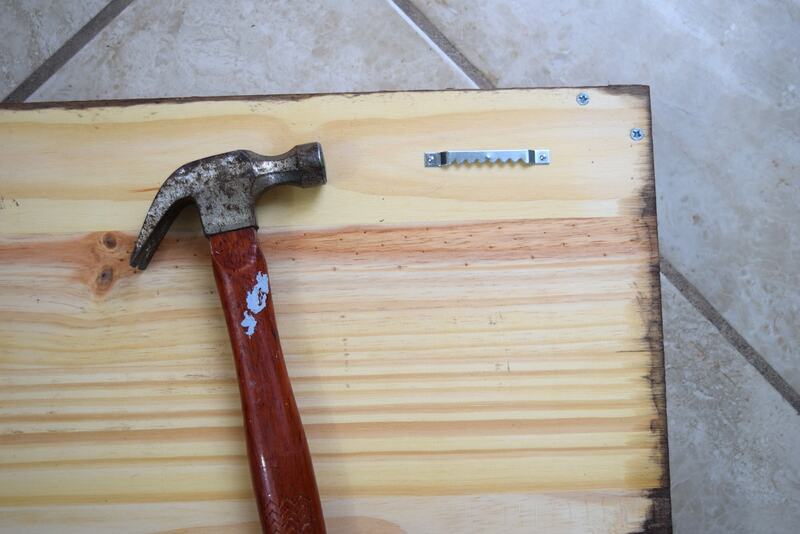 Mending plates are found near the fence making materials at the hardware store and they come with screws to use with them. Pre-drill your holes into the wood where you want your pot or vase to go and attach the clamp using your mending plate. 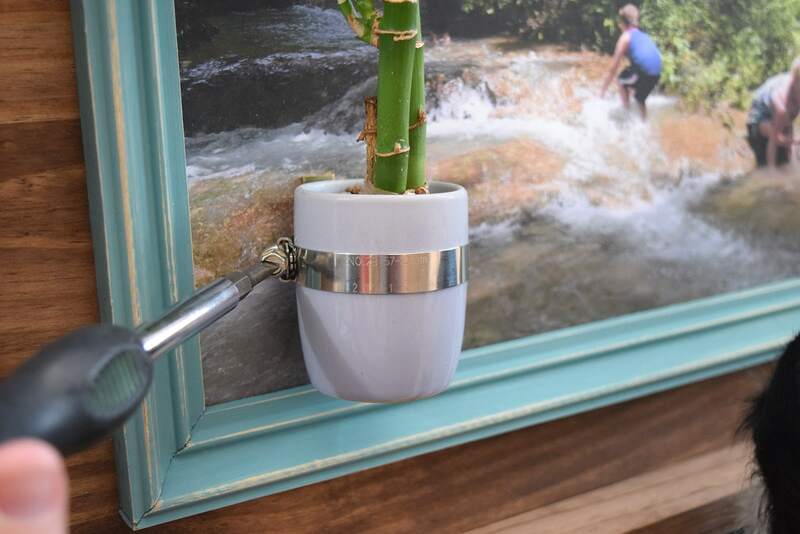 Slide your pot or vase into the clamp and use a flat bladed screwdriver to tighten it well enough to firmly hold onto your plant. Take care not to over-tighten so you don't have to worry about anything breaking. Now isn't that lovely? As it turns out cats love to eat bamboo so this isn't exactly ideal placement for this household since I want the bamboo to live. But the good news is that even if it doesn't I can easily loosen the hose clamp and replace it! In the end, I am very happy with the results! What do you think?